A member of the walnut family, shagbark hickory trees (Carya ovata) also go by the name of shellbark hickory, shagbark, scalybark hickory and upland hickory among others. Shagbark hickory thrives in eastern North America where the large trees grow commercially as well as in gardens and landscapes. In the fall, the large, sweet nuts make great snacks. A native of North America, shagbark hickory trees grow from southeastern Nebraska and southeastern Minnesota all the way east to southern Quebec. The trees grow as far south as Georgia, Alabama, Mississippi, Louisiana and eastern Texas but not along the Gulf states. The trees also grow in northeastern Mexico. A slow-growing tree, the deciduous shagbark hickory gets its name from the shaggy bark growing on the tree's tall, straight trunk. The tree grows up to 100 feet high with a spread of up to 25 feet. The tree produces flowers consisting of both male and female parts so the tree can self-pollinate. Nuts start to form after the flowers fade, although nut production does not start until the tree reaches about 40 years in age. In the fall, shagbark hickory leaves turn shades of yellow and gold. Once the leaves fall off, the tree’s jagged branch structure makes it very appealing in the winter. The tree can live up to several hundred years old. Shagbark hickory thrives in humid climates where it receives between 20 to 40 inches of rainfall during the summer. The hardy tree also grows in temperatures ranging from minus 40 degrees F up to 115, although these are extremes. Shagbark hickory trees grow in a variety of soils, including clay such as that found in northern Arkansas. The trees also grow in loam and slightly acidic soil. In the northern part of the its range, the tree grows on upland sites. In its southern range, shagbark hickory grows in the fertile bottomlands and on north- and east-facing upland areas. The tree’s deep tap roots make shagbark hickory trees useful as windscreens on borders or along property lines since the tree holds up well in high winds. The wood is used commercially in creating tools and other equipment. Barbecue enthusiasts use hickory wood for the wonderful smoked flavor it imparts to meat. The wood also is used for firewood. Native Americas relied on the sweet-tasting nuts as a food staple. 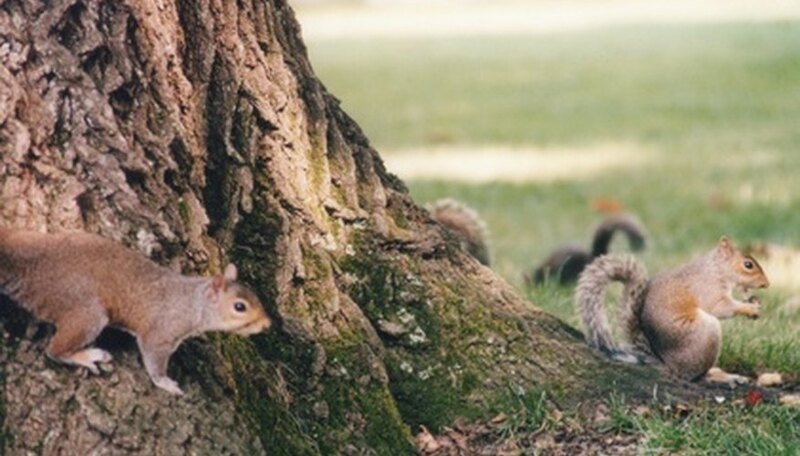 A variety of wildlife relies on hickory nuts as a valuable food source, including squirrels who sometimes compete with humans for the tasty treats. Upland game birds including turkeys and quail gather under the tree to eat the nuts. Raccoons, mice, foxes and deer use various parts of the shagbark hickory, including the new leaves and twigs, as food. Birds nest in the trees while small mammals and birds use the tree as temporary shelter.